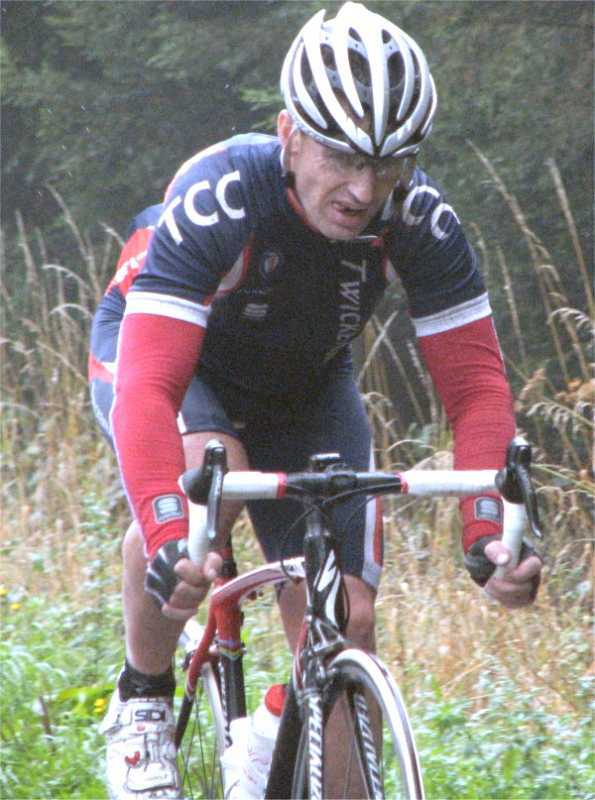 The sun was nowhere to be seen on this, quite frankly, filthy morning at Kirdford for this E/1/2/3/4 Handicap Race. A hardened posse in excess of 40 riders took to the picturesque lanes to do battle, with our Club's honour being upheld in the shape of Andy Betts, Steve Home, Neil Bradford, & Josh Worrall. Being set off in groups according to category, and with 61 wet & cold miles ahead of them, this was going to come down to tenacity & spirit to claim the spoils. Soon after "the off", the 4th Cats 2 minute advantage had been devoured by the 3rds, who continued past them at pace showing no mercy. 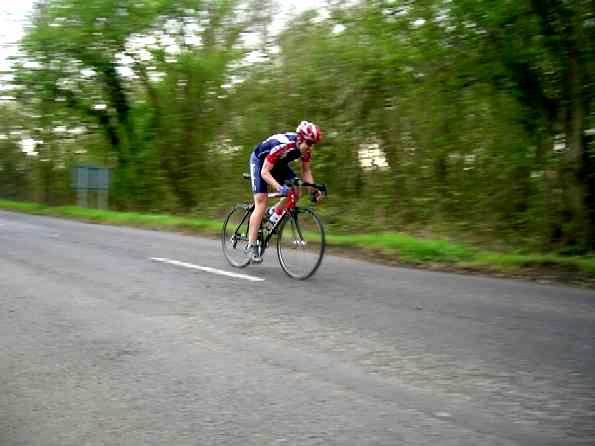 A separate group of 3rds, having started another 2 minutes back, maintained a steady pace and eventually also bypassed the stragglers, though making no real dent in the leading group's advantage. Meanwhile at the rear end of the race, the E/1's caught the 2nd Cats with apparent ease, and continued their assault towards the sharp end. 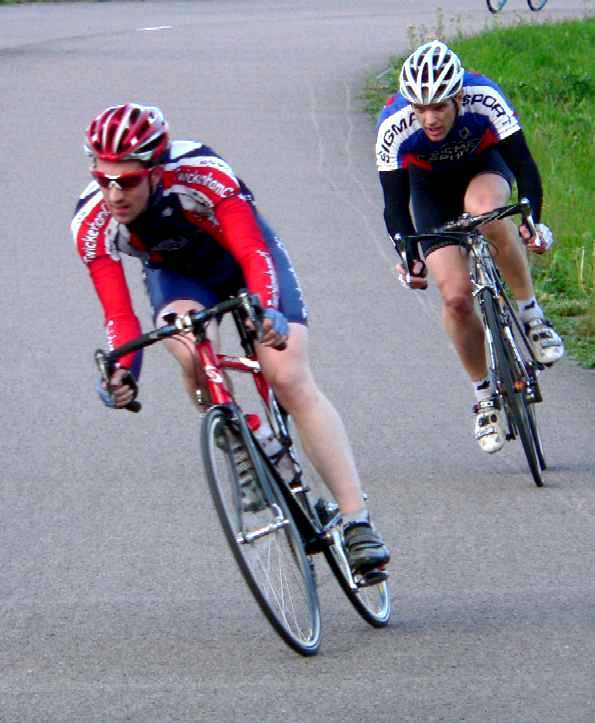 As the race progressed, many riders were left at the wayside, including Steve who unfortunately punctured early on. With 2 laps of this 10 mile circuit remaining, the E/1/2's containing the lively Andy Betts, caught the dozen strong chasing group, leaving 7 riders ahead including Josh & Neil. 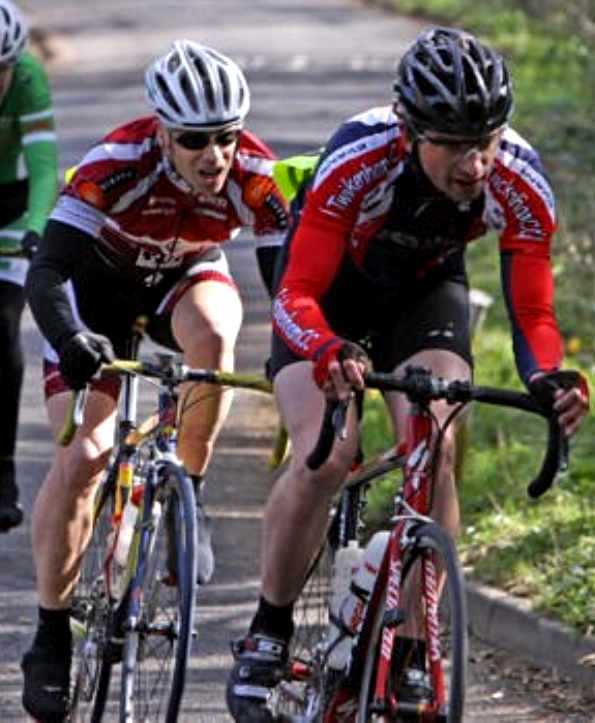 On the final lap, having previously tested the waters, an Andy Betts attack devastated the E/1/2 peleton, with only the Elite rider Chris Moores having the strength to respond. These 2 worked hard together, and gradually ate into the remaining group's advantage. 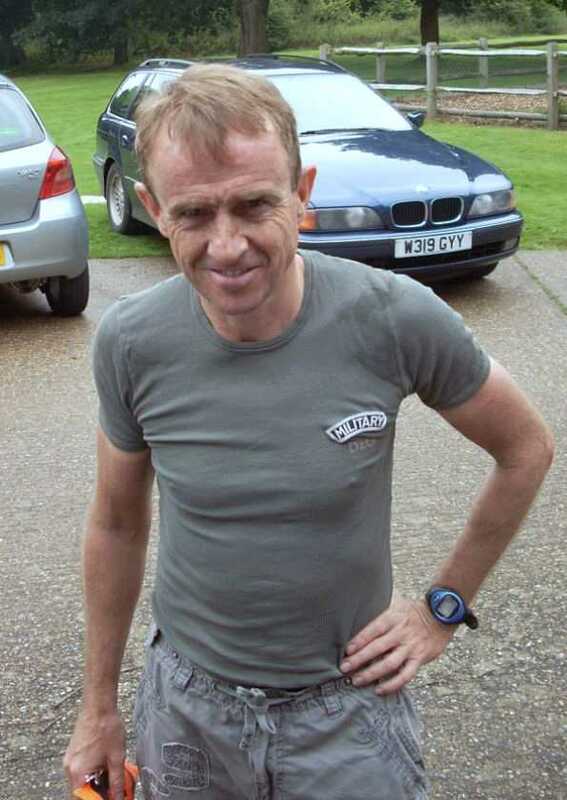 With less than half a mile remaining of the race, the pair contacted the leaders, and the powerful Moores took victory in the final sprint, though not without challenge from Neil Bradford, who claimed 3rd spot. After all of his hard work, a spent Andy Betts crossed the line in 5th place, with the energetic Josh Worrall achieving 7th position. Overall, this was a fascinating contest fought out in challenging conditions, and due credit must go to the competitors for providing an entertaining spectacle, and our placings of 3rd, 5th, & 7th deserve great cheer. Oh, and once the race was over, the sun came out!